Character and charm with comfort a guarantee. 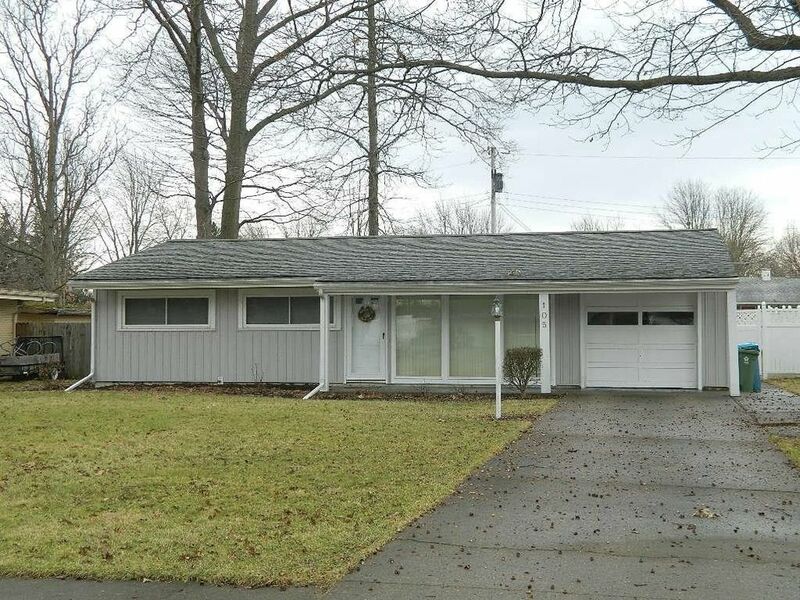 This two bedroom ranch home has a large master bedroom with double closets plus a guest bedroom, a nice full bath with updates and a skylight for lots of natural light. The great room has a vaulted ceiling and opens into the dining room. The galley kitchen has been updated and has newer appliances and flooring. The front of this home has a covered porch and a wall of windows. The back also has a wall of windows and overlooks a beautiful backyard that has an entertainment sized deck, is well fenced and also has a charming water feature. This home is perfect for one or two and is pleasant both inside and outside. Close to I-75, close to Sidney's YMCA and to the many community parks.